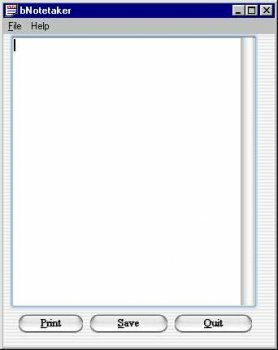 bNotetaker Plus is a very easy to use Notepad program with an elegant interface. All you need to download is AquaControls (http://www.aquaxp.com) to run it. It's very simple to place onto your system using an Installshield Express based installer. This plus version comes with a .pdf manual. Is this junk still on fileforum?! LOL Don't download anything from Babya, it's all junk.